Doorspread is the distance between the doors on a single trawl. On a twin rig and double rig, the spread on EACH net is given. On triple and quad gear, three and four doorpsreads are monitored. • Major fuel savings are achieved with doorspread as you can adjust the speed of the vessel to keep the optimal spread. For example, towing just 0.1 knots too fast into a current can overspread the gear by 10 meters. 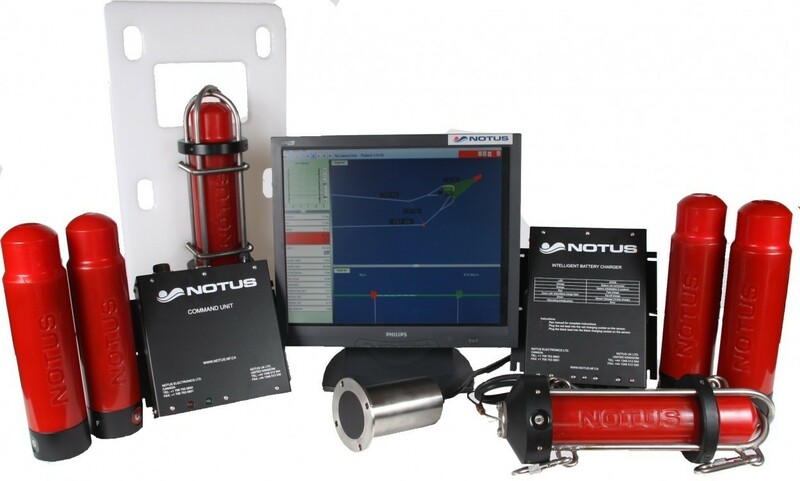 Click here to Download the Notus Brochure for full information on the system and components. Instantly see if you have a rock, pot or other debris in the trawl. Notus has the only omnidirectional sensors on the market. You will still see doorspread on a turn with one door 100 meters behind the other.